Previous PostWays to Clean Your House NaturallyNext PostProbiotics…To take or Not to take? That’s the Question! 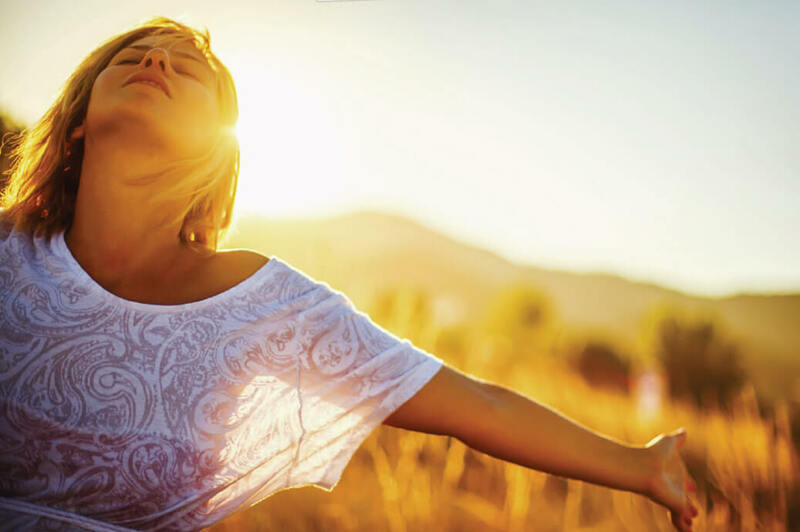 Vitamin D plays an important role in our health and well being. Vitamin D promotes building healthy bones by helping more calcium to be absorbed in to the bones. We can supplement as much calcium into our daily routine, but a few can actually end up in our bones. Higher calcium doses might end up somewhere else where we don’t want it, causing more harm on the heart and blood vessels. So what can we do? Our body needs Vitamin D to get the calcium into the right place which is our bones. Not all of us need the same dose of Vitamin D. Different age groups need different amounts of Vitamin D every day. For example, a newborn might need 400 IU till the age of 12 months and 800 IU between October and April for breast fed infants living in northern communities, while a toddler would need about 600 IU till the age of 8 years old³. The need for enough Vitamin D to do the same job for an adult till the age of 50, may range from 800 to 2,000IU¹, depending on certain conditions and states. A pregnant or breastfeeding female may require 600IU, unless she’s Vitamin D deficient and higher doses are needed. Sun exposure can be a good source of Vitamin D for your daily dose, so a light-skinned person in a swimsuit can produce enough Vitamin D from 10 to 12 minutes of exposure to July sun in Boston². There are exemptions to the rule; older adults, people with dark skin and those with little exposure, should consider supplementing with 1,000 IU Vitamin D daily year-round. Consider SunSense to protect yourself from getting too much sun. SunSense is to avoid the 11am to 4pm sun when the UV index is 2 or less. If your shadow is shorter than you, find some shade or use an umbrella⁴. Few foods contain much vitamin D. Salmon, Canned tuna, and fortified milk (about 100 IU per cup) are among the best sources and most common. Other food sources for Vitamin D are fortified foods with Vitamin D like Cow’s milk, margarine, goat milk, fortified soy beverages and also cheese and yoghurt made from fortified milk, but it does not contain much Vitamin D. The only natural source of Vitamin D in Canada are fatty fish and egg yolks³. • There are many Vitamin D supplements available in Canada. Most of the time they are labeled “Vitamin D3” or “Cholecalciferol”. This is the potent form of Vitamin D and the one recommended by the Osteoporosis Society of Canada ². • Very few are available that doesn’t have many additives like; artificial preservatives, colors or sweeteners, starch, corn, dairy or yeast. Why have them, if you don’t need them! • The are a few prescription drugs that are taken in cases of Vitamin D deficiency for renal impaired individuals or those with a diminished production of parathyroid hormone in the blood. A hormone that regulates calcium in the blood.